As the UK begins to turn distinctly Autumnal, propelling the country towards winter, groundsmen up and down the country need to seriously start thinking about their winter maintenance schedules to ensure that the Turfgrass on their pitches doesn't suffer. 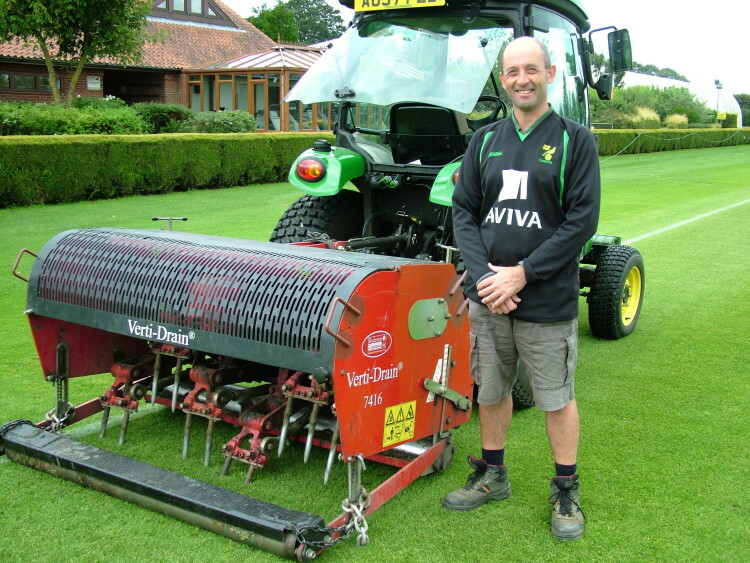 One groundsman that knows his winter maintenance schedule is up to the task is Gary Kemp at Norwich City Football Club. Gary, who has been with The Canaries since 1988, has honed a thorough and well rehearsed rotation of scarifying, aeration, mowing, feeding and soil health checks to ensure Carrow Road is ready for play, and presentable for the scrutiny of the television cameras come match day. Gary recalls the brutal weather that 2009 served up and believes it should act as a warning indicator for what 2010 may bring. "I can honestly say that last winter was the harshest I have had to deal with in 22 years, I remember at one point the temperature dropped to - 6°C", he said. "It wasn't particularly the amount of snow we had, but the elongated length of time that the snow hung around for, I think we had it for about 8 weeks in total." 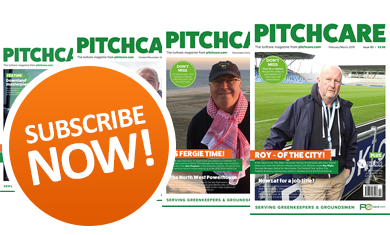 Luckily, Gary has the advantage of a sand based Desso GrassMaster pitch at Carrow Road, he explained, "When we got promoted to the Premiership in 2004, the board asked me if I could guarantee that the pitch would be looking good enough for every match to be broadcast on TV. I advised the board that this was only possible if we replaced the traditional soil pitch with a sand based Desso GrassMaster pitch at a cost of £700,000.00, which they agreed to". 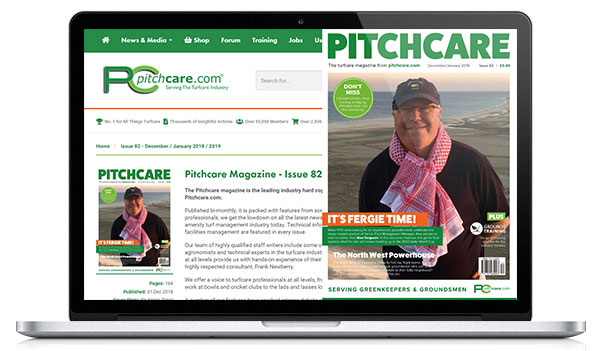 The sand base and under pitch heating system definitely make Gary's life easier once the cold sets in; "The sand composition of the pitch massively increases drainage in extremely wet conditions. The heating system, that lies 15 inches beneath the surface, can clear snow and ice within eight hours of being turned on. All I have to do is go around and break up the ice with a rake to kick start the progress". With an intensive schedule at Carrow Road, including corporate matches as well as regular fixtures, how does Gary keep his surface looking so good? "You have to think ahead. Basically, my winter preparation and maintenance starts way back in May when I do my end of season renovation, that's the 'be all and end all' to my mind. If you put the work in early on, it makes your life a hell of a lot easier come winter." Gary and his team begin by scarifying, stripping the grass from the surface. 150 tonnes of sand is then used to dress the pitch followed by a seeding programme. Pre season, Carrow Road is kept in trim by a triple mower and replaced by two Dennis G860 cylinder mowers once the season starts in September. As grass growth is still fairly rapid during this time of year, Gary cuts the pitch everyday to 25mm and verticuts once a week to keep the grass standing proud. Gary believes in regular aeration throughout the winter, as the cold, damp and freezing conditions, coupled with extensive machinery usage and playing schedule results in severe compaction. 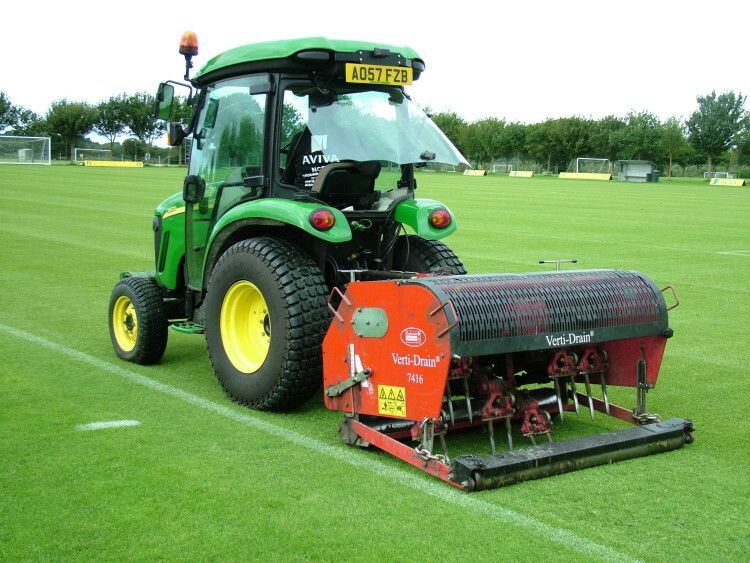 "To maintain the pitch and keep it in top condition during the season, I use my Charterhouse Verti-Drain 7416 on the back of a 32 horse power compact. I will solid tine twice a month at two different depths, once at nine inches and then to four inches to break up the surface pan. This process takes about a day and a half." Gary is sceptical about the perception of general aeration techniques, believing that there is more to it than meets the eye, "Good aeration starts with good pitch construction", he commented. 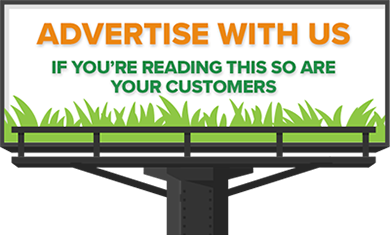 "The first thing that you have to consider is your drainage system. When you aerate a pitch that has good lateral drains and gravel sand slits, it works fantastically well as you can open the top up, allowing the water to sink easily into the trenches below." The Verti-Drain 7416 also acts as a good levelling tool when preparing the surface for play, Gary commented, "The Desso pitch at Carrow Road reacts really well to the weight of the Verti-Drain, it settles the ground down and smooths it out - it ends up looking like a bowling green." Gary has one rule of thumb when it comes to aeration and winter maintenance in general, he explained, "I would never aerate if I thought I was going to do more damage than good. That is the beauty of having my own Verti-Drain and not having to rely on contractors; I can pick and choose the perfect conditions to aerate in."